Wed, 23 July 2014 - End of the trip, time to go home! This was not a Good Day for me. The campsite was surprisingly quiet for being in the city, but there were vehicles coming and going at all hours, often shining headlights right into my tent. So I didn't get much sleep. Then, it was time to make arrangements to go home. 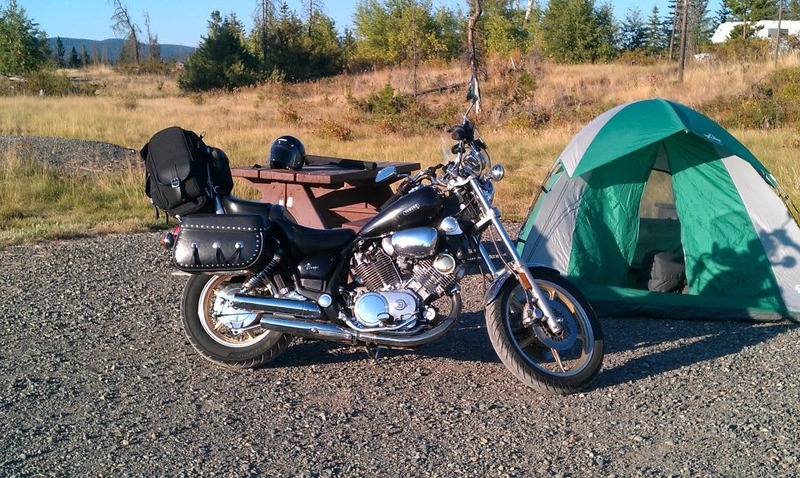 I had pretty much written off my first option - riding back through the US. It would be expensive, and I was tired of riding, especially dodging thunderstorms. Second option was to ship the bike home. OK, call a moving company. No luck. Call another one. No luck. Another and another and another. The only company that said they could ship a motorcycle said it would cost about $3000 - more than what the bike's worth! 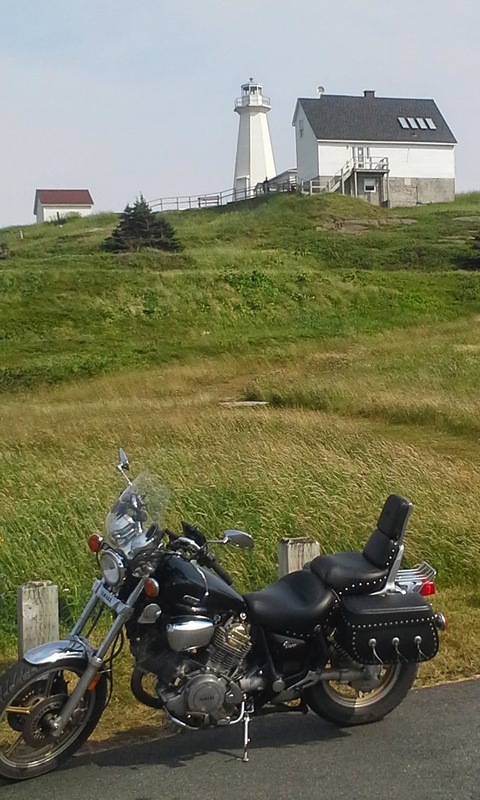 My Lady came to my rescue and found a place that would ship my bike back for $US 950 - but it was from Dartmouth. So I'd have to take the long ferry back to Sydney, ride (probably in the rain, according to the forecast) to Dartmouth and send it from there. Depressed, I checked out how to send the rest of my stuff (mainly the camping gear). Greyhound doesn't go to St. John's, but UPS said they would ship it for under $100 (turned out closer to $130 once the dust settled). But the sun was coming out, so I decided to do one more thing I wanted to do: go to the Easternmost Point in North America: Cape Spear. On the way, the bike started coughing and losing power - NOW what? But it had simply run out of gas - I managed to duck-walk her into a gas station and fill her up and she was back to her reliable self. 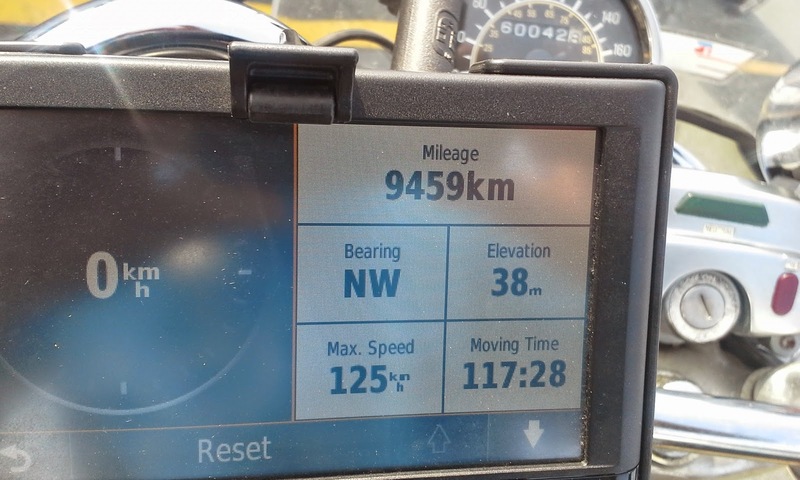 I covered about 9500 kms over 117 1/2 hrs. Comparing that to Google Maps which said the journey would be 7500 kms, I guess I did a LOT of side trips! Now, it occurred to me I hadn't eaten anything yet today, so I searched for a pizza place. Again, winding down side roads, busy streets, detours... but no pizza place! I guess Newfies don't like food they don't get out of the sea. I finally settled on the ONLY Boston Pizza in the area. And they dropped my pizza - the end of a perfect day. Hey Druid This is Trevor, Awesome forum. That is such a long way to bike I just added it to my bucket list. Thanks - glad you figured out how to find it. And yes. it's definitely worth doing.